From the majestic wildlife of the Serengeti to the broad volcanic crater of Ngorongoro – one of the world’s seven natural wonders – to Zanzibar’s dazzlingly white beaches, Tanzania offers the key ingredients for the classic ‘safari + beach’ combination. Kilimanjaro meanwhile is a big draw for trekkers wishing to climb to almost 20,000 feet and there is fantastic scuba-diving on Zanzibar and neighbouring Pemba Island. 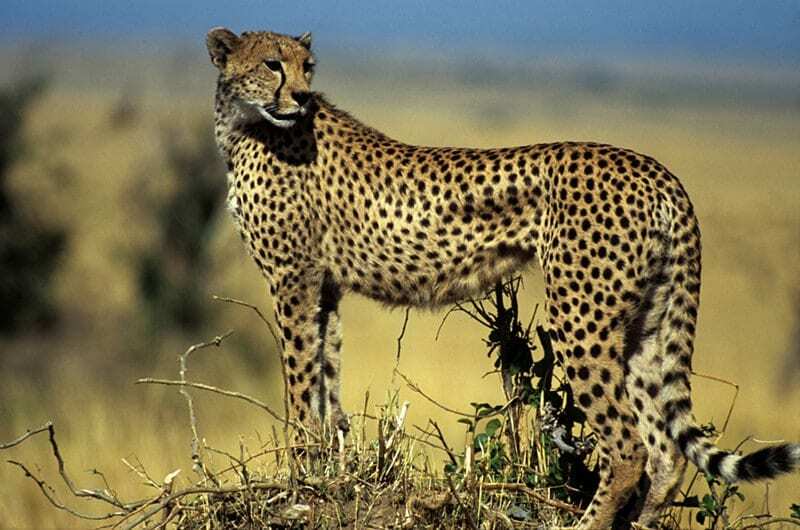 Africa’s most famous game-viewing region is a huge expanse of open grassland populated by vast numbers of wildebeest, zebra and antelope closely watched by their feline predators – lions, leopards and cheetahs. Each year the Serengeti plays host to the ‘Great Migration’ as the animals follow the rains in search of fresh grazing creating the world’s biggest mass movement of wildlife. Offering the perfect contrast to the land-locked plains of the Serengeti, Zanzibar has wonderful, white-sandy beaches with a full range of accommodation from small boutique properties to 5 star luxury resorts. The capital ‘Stone Town’ is an historic trade centre and many fascinating landmarks such as the ‘House of Wonders’ – a former sultan’s palace, can be found amongst its winding lanes and minarets. What to do: Take a traditional dhow on a fishing trip, enjoy a spice tour of the island, dive, swim … and relax! 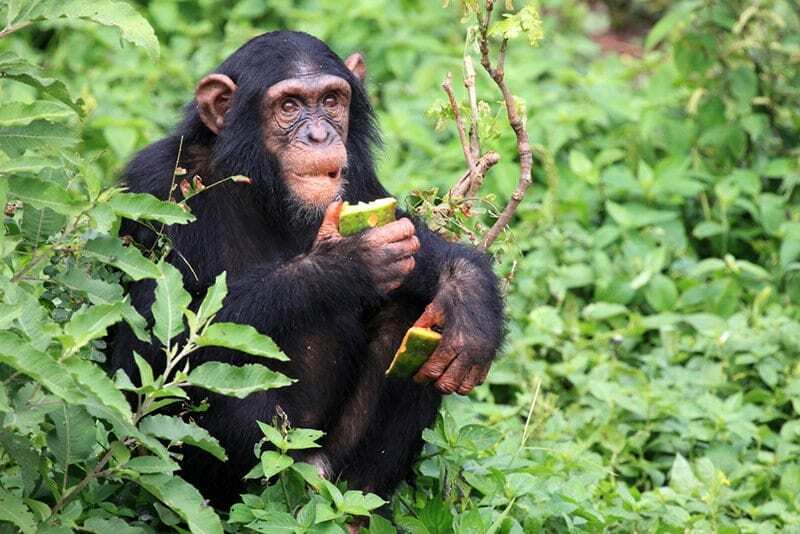 The smallest of Tanzania’s national parks, Gombe is a slender strip of chimpanzee habitat amidst the steep hills above the sandy northern shore of Lake Tanganyika. The chimpanzee population has been habituated to human visitors following the pioneering work of Jane Goodall in the 1960s. Also to be found and exceptionally-well habituated are beachcomber olive baboons, whilst white red-tailed and red colobus monkeys roam high in the forest canopy. What to do: Chimpanzee trekking, swimming & snorkeling, visit the site of Henry Stanley’s famous “Dr Livingstone I presume” moment at Ujiji. Now a UNESCO World Heritage Site and one of Africa’s greatest wildlife locations, Ngorongoro is a 10-mile wide volcanic caldera that is home to all of the ‘Big 5’ within its 2000ft-high walls. A healthy population of black rhino and some of the largest tusker elephants that remain in Africa are amongst the prized sightings but the Crater also has lion, leopard, hyena and buffalo as well as large numbers of wildebeest and zebra. Africa’s highest mountain, its snowy flat-topped summit shimmers above the vast plains and beckons the trekker upwards to a world of icy coldness close to the Equator. There are various routes to the top with guides and porters on hand to help with the journey upwards to the crater rim and Uhuru Peak – arriving here at sunrise is one of life’s never-to-be-forgotten moments. Tanzania has many small and less-visited national parks to the south of Dar-es-Salaam and the Selous Game Reserve and Ruaha National Park are outstanding locations for tracking wildlife by boat along the vast network of waterways. Large elephant populations are to be found here as well as some of Tanzania’s most classic safari lodges offering great service and comfort in the midst of remote wilderness. What to do: Game drives, boat trips and walking safaris. The best time to visit the Serengeti is January to March when grazing animals are calving and there are plenty of lions around. July to October (the dry season) is also popular. 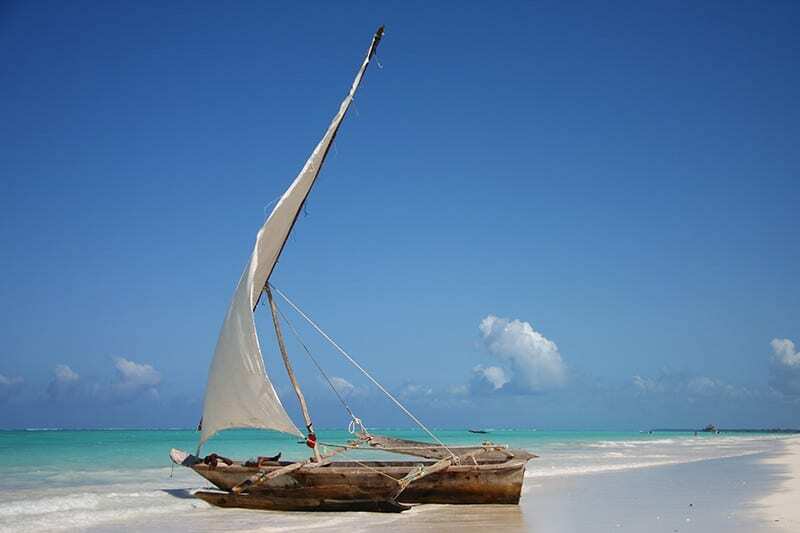 Zanzibar enjoys a warm year-round climate tempered by sea breezes, but with heavy rains from April to May. If you wish to ensure that you are as well-acclimatised as possible to climb to the top of Kilimanjaro, we suggest a preliminary ascent of its near neighbor Mount Meru (4562m) to build up your red blood cells. Meru offers great eye-level views of the huge bulk of Kilimanjaro and is a worthwhile trek in its own right too. Ethiopian Airlines have regular flights from Heathrow to Tanzania via Addis Ababa and so it is possible to combine the wildlife of East Africa with the cultural and historical highlights of Gondar (medieval castles) and Lalibela (famous for its rock-hewn churches) in the Ethiopian highlands. There is more wildlife here too with Ethiopian wolves to be found on the Sanetti Plateau in the Bale Mountains.